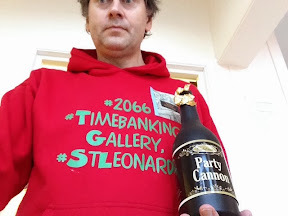 St Leonards Sharing - Timebank: What do you make of the #2066 #Timebanking Gallery? 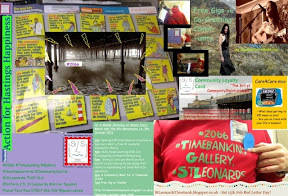 What was announced in the Hastings Observer on 20th December 2013 as the launch of the "Hastings Pier Fire and Community Development (Art) Gallery" now exists (as of 15th Feb 2014 & through to 5th October 2016) as the #2066 #Timebanking Gallery. The Gallery is open Mondays and Fridays from noon-6pm (or later by request) and the next "almost monthly event" is Saturday 15th March 2pm-9pm with Kurt as the main performer. The full programme of monthly events is on the 1st #2066 #Timebanking leaflet, which is below & also now the Facebook cover picture on the Action for Hastings Happiness Facebook page.